On Thursday June 28,the Section of Anatomy organized the junior anatomist day. This is an annual meeting where one of the Anatomy institutes of the Netherlands or Flanders opens its doors for its colleagues. 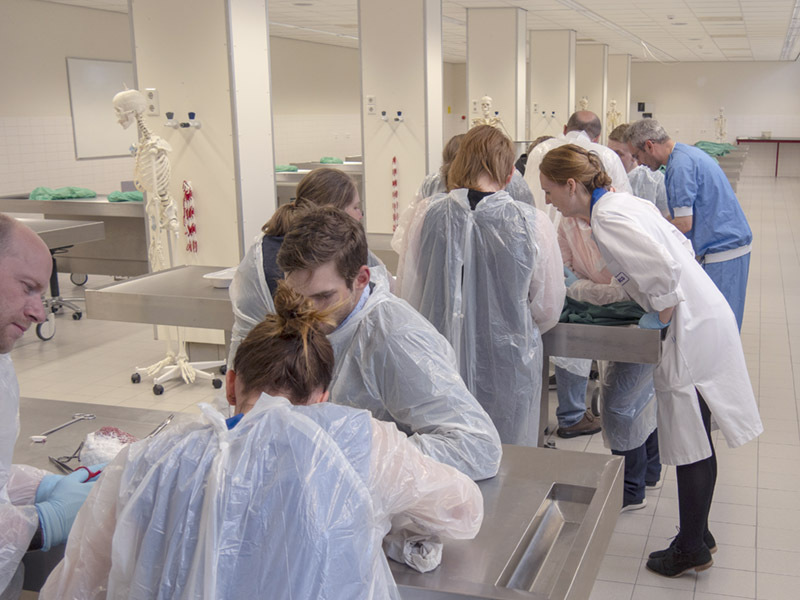 This year we were delighted to welcome 42 anatomists, prosectors and participants otherwise involved in Anatomy, that had made the effort to travel to the North of the Netherlands. The theme of this year’s event was ‘ Virtual Anatomy-education ‘. The morning lecture on the use of Virtual Reality in training of plastic surgeons launched the theme of the event. After a guided tour of the dissecting facility by our prosectors, we started the afternoon program. During three workshops we showed the participants the three different ways of embalming that we use in Groningen. 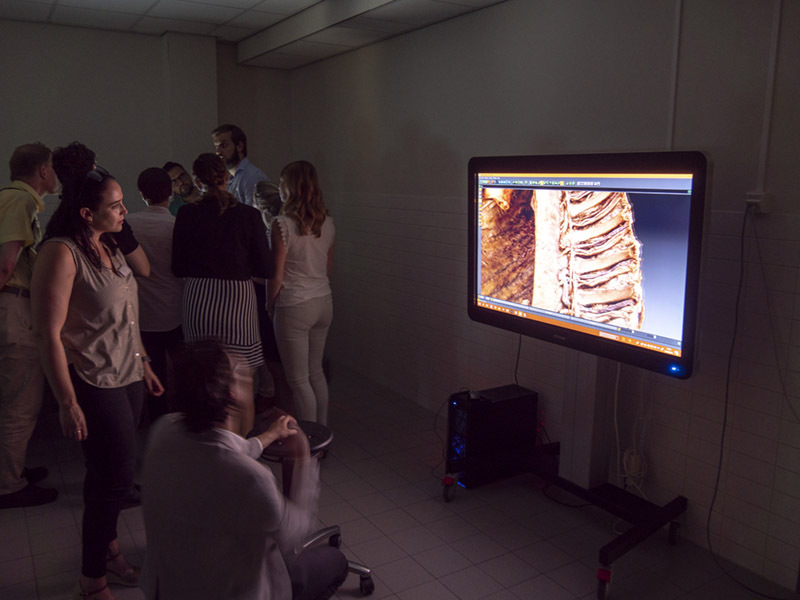 In addition, participants got the chance to see some of the key areas of the Anatomy Section in Groningen. This included the intensive cooperation with the Wenckebach Skills Center, the many opportunities in the field of surgical skills training at the dissection room, and the development of digitized anatomical specimens that can be studied interactively and in 360 degrees. We look back on a successful, pleasant and instructive day with colleagues from home and abroad!